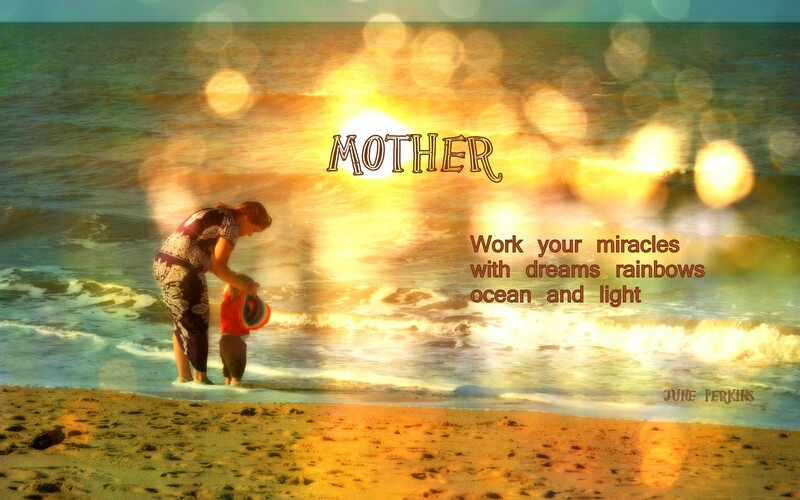 This morning I began working on words to go with some of my collage art and the picture that accompanies this post was inspired by some time spent with one of my friends at the beach with her sons. I find this way of working is a good way to keep my creativity agile when I have a lot of things to do, but want to keep writing something. It works so differently than when I write without an image in front of me. This link to Visual Writing Visual Editions – is now inspiring me to move my collages into video and to think about text moving in three dimensions. So much to explore! Ah well, one step at a time. I have purchased a cheap video editing program, until I can afford another one- and will test all it’s limits. I spent some time with Suzie Cray, the new producer for ABC Open from Cairns, and some of my family, working on a video postcard. I’m in the midst of editing it. We were open to things that happened unscripted – like a bee heading onto a flower, a tourist taking a photograph at the falls, and a rustic mystical sign, Peter’s Organic Farm. I’m nearly there with it, and will share it when it’s polished. The most important thing I took away from the day was that I could edit the words from the script, when I showed it. I cut half my script due to the work of the visuals, and immensely enjoyed the process of editing it down. Thanks Suzy for travelling all that way to mentor me! I’m feeling more confident about developing my video work further, and especially gaining more skills in editing before I meet up with Suzy again. The other exciting announcement is I have a mystery guest blogger, who will be appearing soon! Awesome. It’s lovely to have guest bloggers grace the space and I hope to introduce you to more of them in the coming months. Reblogged this on Unitys Garden. Yay! Im so glad you took something away from it June. It was such a delight to meet the infamous June Perkins and I too look forward to many mentoring moments together. haha – yes I am certainly infamous for photographing all over the place in the Cassowary Coast – curious documenter and artist. Thanks so much for your help. I think I like camera work, editing maybe one day I’ll love it just as much. Don’t you just love it when things come together?! I sure do, although I am really in need of a good nights sleep. What an inspiration you are June. I love the idea of visual writing and I would love to think about the words streaming in video. My 14 yo son has a real talent for video editing so I am learning more and more about this new medium. Would love to see what you do, lovely to hear from you, I’m just making some photo/word books and will be giving links off the blog for people to purchase them if they want to. I’ll start putting video into them gradually as well.